How to sew: Taking sleeve measurements. Okay so we are on to the next one on how to sew: sleeve measurements. Sleeves are a part of a dress that covers the arm. There’s really no biggie to taking sleeve measurements, I think it’s the easiest part of all. . Arm hole circumference: measured around the shoulder and armpit. Sleeve width: measured around the upper arm. Sleeve width elbow : measured around the elbow. Sleeve width wrist: measured around the wrist. 5. Sleeve length : measured from the shoulder to upper arm. 6. Sleeve length elbow: measured from shoulder to elbow. 7. Sleeve length wrist: measured from shoulder to wrist. Please view attached picture to better understand the measurements. A sleeve length measurement that stops at (2) means that you are measuring for short sleeves, a sleeve length measurement that stops at (3) means you’re measuring for elbow length sleeves while, a sleeve length measurement that stops at (4) means you’re measuring for long sleeves. kindly post comments below, ask questions and make contributions. 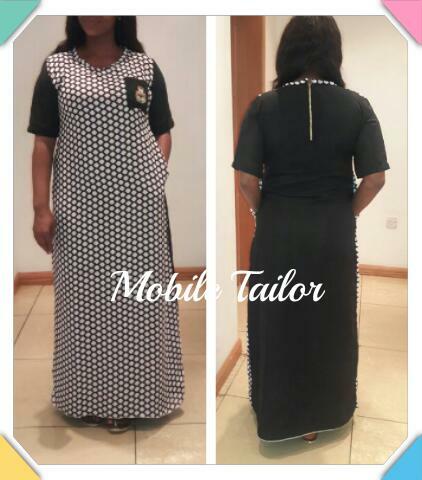 MOBILE TAILOR; helping to make hobbies out of sewing from your comfort zone. … . View my media file slideshow below to view some of my projects. You can get a free domain name for your blog and Web hosting for as low as 2k / yr. You can now own your own site. Get a free .com.ng domain name and 1GB web Hosting for N2,000 Only!